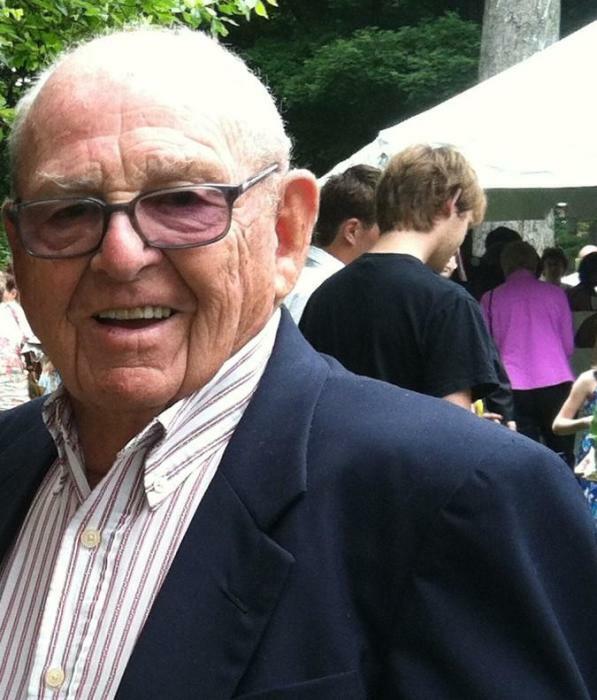 Ernest E. Hendrix, age 90, died January 12, 2019, at Gordon Hospice House in Statesville, NC. A native of Haywood County, he was the son of the late Clarence Eugene and Emma Revis Hendrix. He was also preceded in death by his wife Sue Whitted Hendrix, a brother, Richard Hendrix and sisters, Corky Richardson, Sarah Fish, Martha Grooms and Betty Brown. He was a member of Grace Baptist Church in Statesville, NC. Ernie’s passions were his family and his beloved University of North Carolina Tarheels. He is survived by his daughter, Carol Hendrix of Louisville, KY, and son, Doug Hendrix and his wife Carole of Statesville, NC; granddaughters, Haley Williams and husband Worth and great grandson Worth Williams, Jr, of Farmville, NC and Mary Whitted Hendrix of Wilmington, NC; brother, David Hendrix and his wife, Anita, of Candler, and sister Becky Floyd and her husband, Fred, of Aiken, SC, brother in law, Harry Fish of Canton. After graduating from Canton High School in 1948, Ernest enlisted in the US Air Force. Upon his honorable discharge in 1952 he attended Mars Hill College for two years and then transferred to University of North Carolina in Chapel Hill where he graduated in 1956. Ernest and Betty Sue Whitted were married in Canton on July 3, 1949. After graduating from UNC-Chapel Hill, Ernest worked for JC Penny in Asheville followed by several years with Champion Papers in Canton and Waynesville. In 1969 he accepted a position with Vermont American Corporation in Boone, NC where he served as the plant manager. In 1977 he was promoted to the Director of Human Resources at the Vermont American corporate headquarters in Louisville, KY where he served until his retirement in 1984. Ernest was a true citizen in each town he lived. He served in leadership positions in his church and many civic and nonprofit organizations; and served on many committees and boards, for which he was recognized by governors Jim Holshouser of North Carolina and Julian Carroll of Kentucky, receiving the Honorable Order of the Kentucky Colonels from Governor Carroll in 1978 for his efforts in race relations and fair employment practices to insure a diverse workforce. Funeral arrangements will be held 2:00 pm Monday, January 14, 2019 at the Canton Chapel of Wells Funeral Home in Canton, NC with Rev. Gary West officiating. The family will visit with friends 12:30-2:00 pm prior to the service. Burial will follow in the Bon-A-Venture Cemetery.